Henry Gray is the owner of Gray’s Stone Carving Studio near Salisbury, where he teaches stone carving to all ages and abilities. He has been practising Chan with The Western Chan Fellowship for the last 10 years. 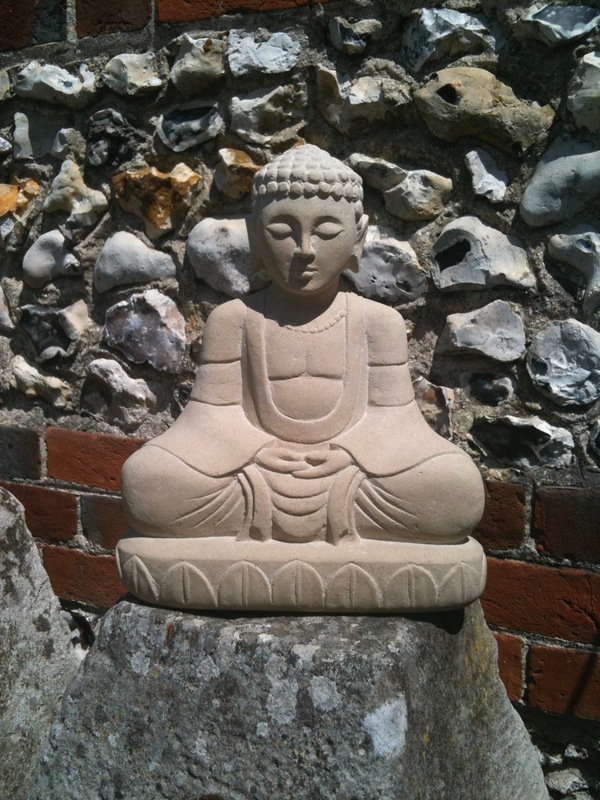 This non-residential course is suitable for beginners and experienced meditation practitioners, and stone carvers of any ability. A focus of the course will be the ‘doing’ aspect of practice – on bringing mind and body together through work. The three days will be interspersed with body exercises, carving, sitting practice (zazen), walks and short talks. Although this is not a silent retreat, principles of a Chan (zen) retreat will be adopted, for example, there will be some liturgy, a short talk each day, and some sitting practice (zazen) periods. However most of the “formal” practice will be the “work” periods. There will be plenty of short breaks and instruction on linking body and breath in activity, listening to the stone, tool handling skills and stone carving techniques. This is an opportunity to reflect on the four noble truths, on the experience of making something out of an apparently immutable material, and on trying to get somewhere by dropping goals. In a course such as this the personal instruction arises through the activity and involvement with the tutor and will be naturally geared to the needs of each individual. All materials, a light vegetarian lunch each day, and drinks and biscuits throughout are included in the price. Camping is available for free. Henry can suggest local B&Bs e.g. The Old Mill at Harnhamor The Queeen’s Head at Broadchalke. For details contact Henry Gray info@grays-stone-carving.co.uk Tel: 01722 341372 Mob: 07766 464048.